So I know I’m late to the game, but I’ll admit my blogging has been taken over by my instagramming. If you’ve read this blog at all since I started it in 2008, you know that I love taking photos almost as much as I love writing and eating…from tabletops to heaping desserts and perfect salads. That is why I’ve taken to instagram because I can make said food shots look even better then they tasted. 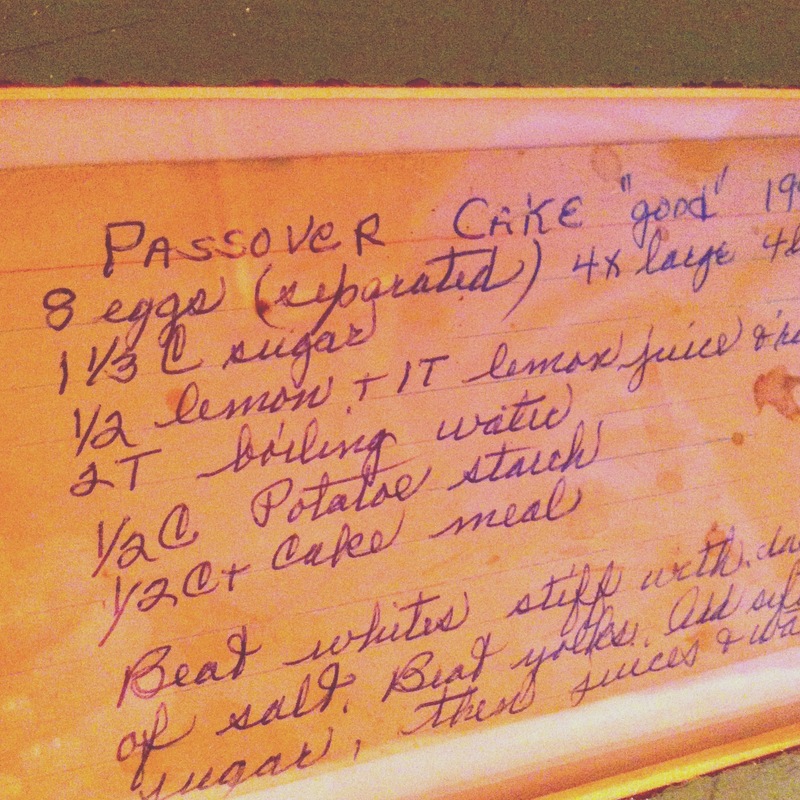 But if you follow me (elizabites_Chi) you will see all kinds of shots, like this one of an old-school recipe from my grandma for “good” Passover Cake. I framed this as a gift for my mom, and we marveled at how in the hell you go through almost a dozen eggs to pull this off…(but she did and I remember it being awesome). Passover is long past, but I love stumbling upon this card, stains, typos and all..
Well, not my home because I sadly lack a real grill, but my parents have a decent one and it was packed with their own Sconnie-influenced selections of boring burgers, dogs and brats this past weekend. My sister and I had to infiltrate with a few dishes of our own, and elotes (Mexican corn on the cob), was just one of them. I love this creamy, spicy snack and have gushed about them before. 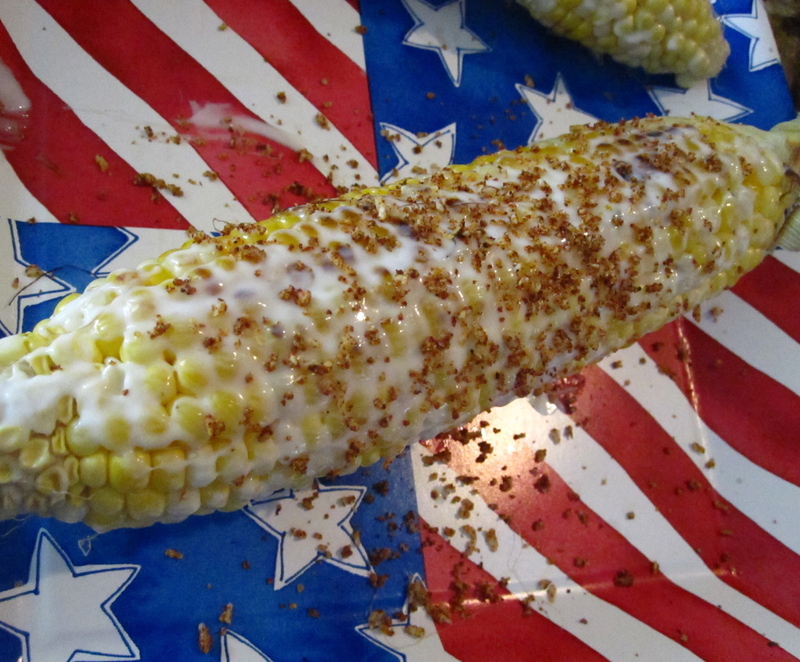 I hoped for fresher corn, but grilled up what I had and slathered it with a mix of mayo and fresh lime juice and the sprinkled it with Mexican cotija cheese, chile powder, ground red pepper, cumin and salt. Throw in my mother’s cheesy Independence Day paper plate action and we had ourselves a fourth of July. Elotes on a cheesy plate! Every once in a while there is a post on Elizabites that’s so tasty, so amazing, so great, it has to be posted twice. This one is perfect to kick off Thanksgiving, and will be sure to please whoever you are dining with tomorrow. 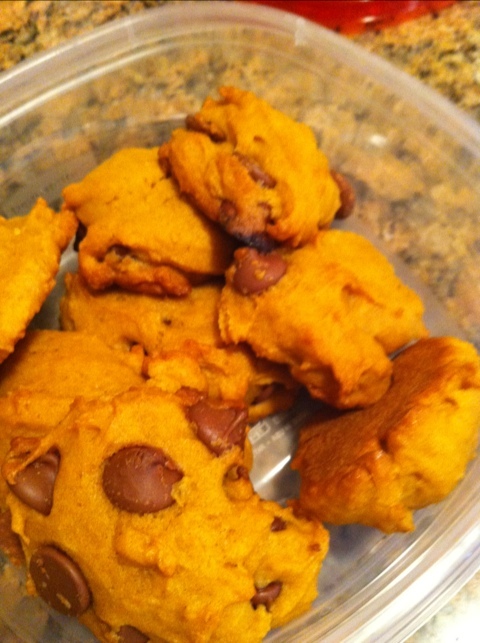 Check it here, and expect deliciousness to ensue..and Happy Thanksgiving…be back next week! Well, it was an expectedly good eating weekend in Milwaukee, of course, with visits to Coerper’s 5 O’clock Club for juicy steaks, a new burger place called Stack’d for bbq bison burgers with onion rings, a stop at Larry’s Brown Deer market, and of course, a 10-person Thanksgiving dinner with my family. But one of the highlights of the holiday is a tradition that goes back at least 12 years. It is the homemade chocolate and butterscotch toffee one of my closest childhood friend’s mother seems to have on constant supply. Of course, this is the kind of house were the minute you walk in, chocolate chip pancakes are being whipped up, a cake is being frosted and warm brie is coming out of the oven to spread on brioche. 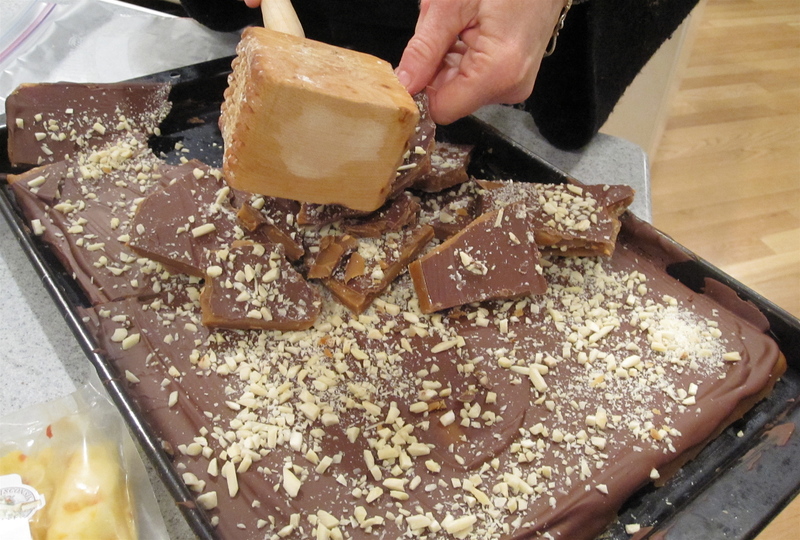 But it’s the toffee that’s truly addicting, and you can’t pay a visit to their home and not leave armed with a bag full of the stuff, freshly broken with wooden mallet. It has the consistency of crunchy brittle, is dipped in chocolate, sprinkled with crushed almond, and, impossible to put down. Hmm..now to just snag the recipe..
My infatuation with See’s Candies (namely the shoe box-shaped suckers in flavors like chocolate, butterscotch, vanilla and cafe latte) began when my relatives from San Diego used to pay visits to us in Wisconsin and bring boatloads of suckers, truffles, brittle and more. It was the first candy I had ever had that tasted fresh and homemade, and it totally disrupted any allegiance our young palates had formed for the Hershey’s, Tootsie’s and Reese’s of the world. The candy company originated in Los Angeles in 1921, eventually spread throughout San Francisco in the 30s, and has since become somewhat available throughout the U.S. But I still mostly stock up on the stuff when I’m in Cali-based airports, as I was the past two weekends. They do mail order as well, but the next time you are in a West Coast airport, I highly recommend skipping the U-shaped neck pillows and perfume, and heading straight to the See’s kiosk. Just a few retro foodie shots captured at the Chicago Antique Market this weekend. Held once a month on Randolph and Ogden in the West Loop, the market returns August 29-30 and Sept. 26-27, and if you’ve never been, it’s more than worth the $10 entry fee. We spotted everything from great mirrors, to cookbooks, furniture, jewelry, artwork and memory-inducing retro glassware. I am not sure who designed these retro vegetable jars, but I swear my parents had the full set of jars and glasses. Is it me or do these vegetables looked stoned? More great teapots, bowls, etc. One vendor had an awesome selection of vintage cookbooks. These thick A & W mugs brought back serious memories of pigging on hamburgers, fries and root beef floats in the comfort of my parent’s station wagon. I know there’s an A & W still lurking in Racine, and I think a trip up there for a float (or at least the root beer suckers) is on the horizon.